Something else I’m blaming on him? 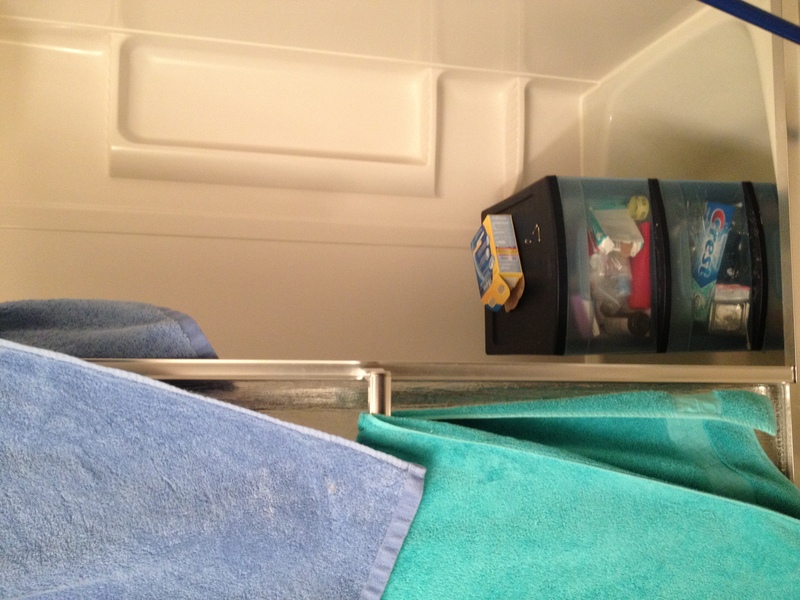 That would be my three tier tower inside of my shower (didn’t mean to rhyme!) I went into the bathroom and saw that the tower was off center from its usual spot, so I asked Stephen if he moved it, and he said no. I’m an easy target when it comes to stuff like this and he took full advantage. Every time I went into the bathroom between Friday night and Sunday evening, that damn tower was moved! It wasn’t until right before Stephen left that he decided to just put the entire thing into the shower. I died laughing when I went in there to see that it had “disappeared”. He thinks he’s so clever- now I just need to come up with a harmless joke to play on him once he’s in his new house! I really am turning into Monica Gellar… Friends, anyone? These bad boys! Holy yum. I decided to venture into the frozen food aisle today while grocery shopping. I NEVER go into the frozen food aisle because I stick to my raw foods for the most part, but the VEGETARIAN sign caught my eye. 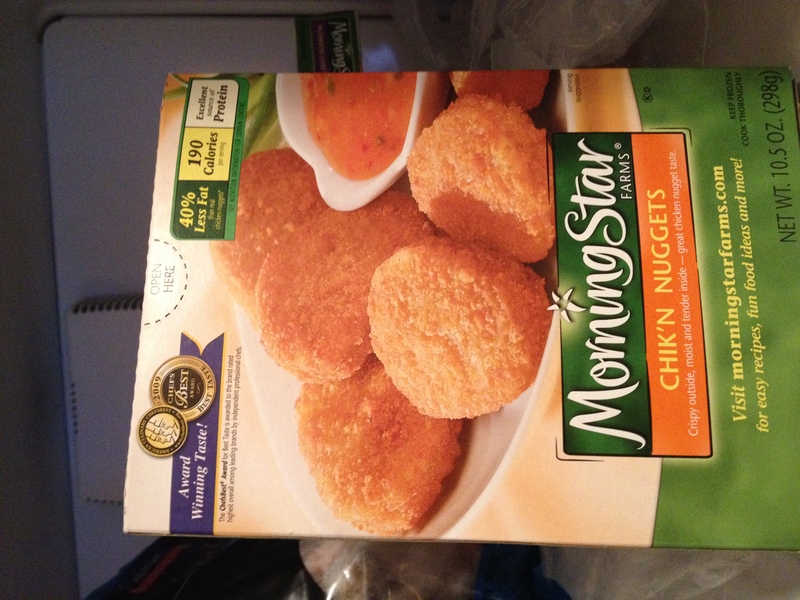 So far, I just tried the Chik’n nuggets, but they were so good!! Granted, my taste is a little off because my nose is stuffy, but from what I could tell, the texture was pretty accurate and so was the taste! I’m sure the burger will be good because it’s a portobello mushroom and I love those. They also had bacon, buffalo wings, sausage links, meatballs, and all other sorts of vegetarian meat. It’s not natural, obviously, so it’s not something I’m going to start stock piling into my daily diet, but it will be fun to incorporate from time to time. 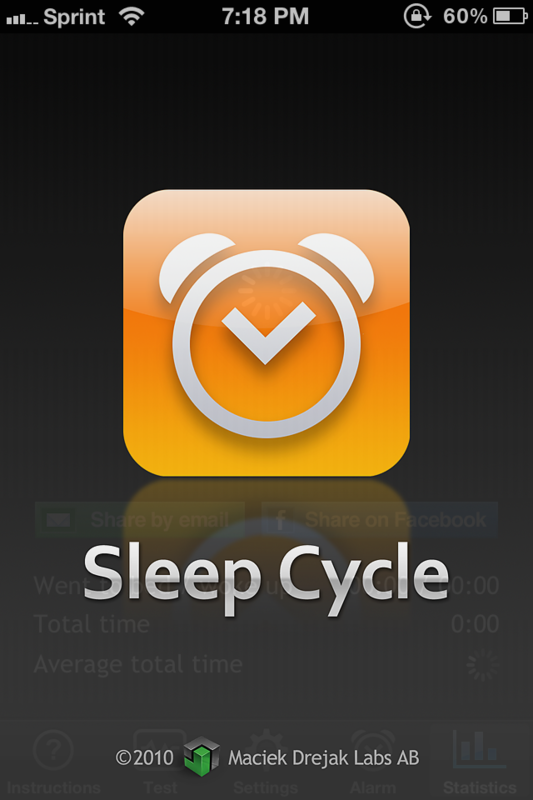 The second App is Sleep Cycle. This one cost me $.99 but it’s pretty cool. It detects your movements while you sleep and gives you a graph of your sleeping patterns each night. When you set your alarm via this app, it gives you a time-frame of whatever you choose- so for example, I chose 45 minutes. So, say I set my alarm for 7am, based on how I’m sleeping, the app will wake me up anytime between 6:15 & 7am. The theory behind it is that you’re tired when you’re woken up from the middle of a deep sleep, so based on your movements, it tries to avoid waking you up when you’re in the middle of a deep sleep. According to the past few nights, I have NOT been falling into too deep of a sleep. 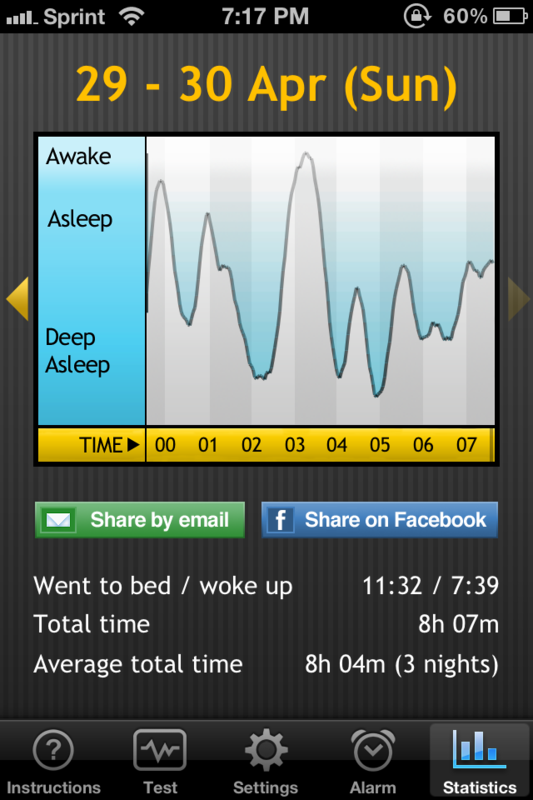 Friday night showed the deepest sleep for me- the night before the half- and it was only for the hour before I woke up. I’m curious to see if I sleep any better tonight since I’m sick or if it makes a difference at all. And planning out the rest of my 2012 race calendar. 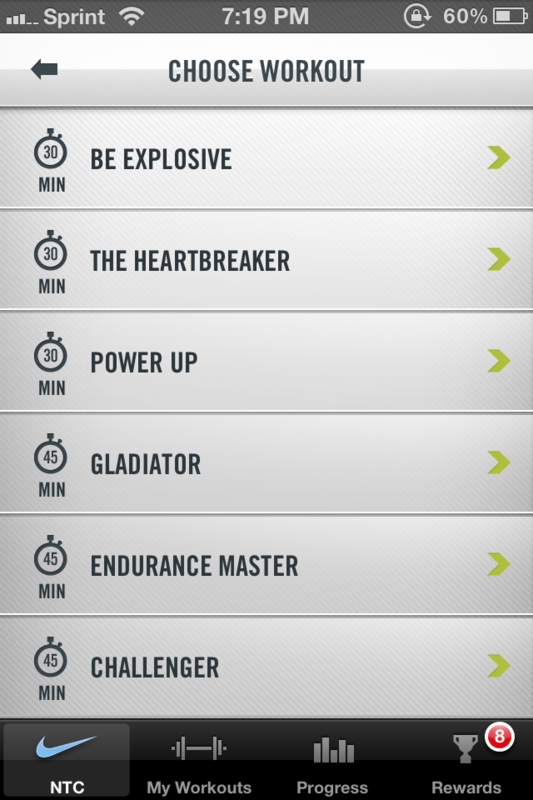 Back in January, I said I was going to run a race every month- 12 races in 2012. January: No races, went to Europe & had to settle back into the last semester of college. September: Chicago Half Marathon- maybe? Perhaps? 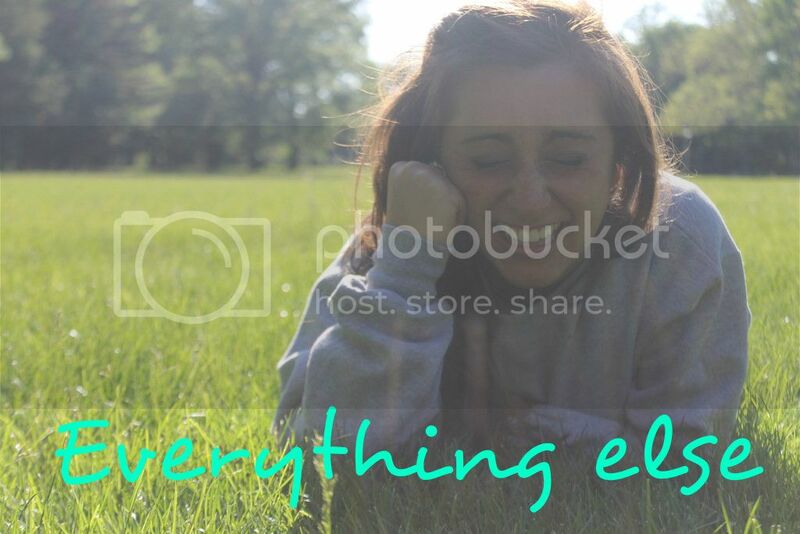 Thinking about it! December: Santa Hustle 5k? Some sort of fun, Xmas themed race would be fun. 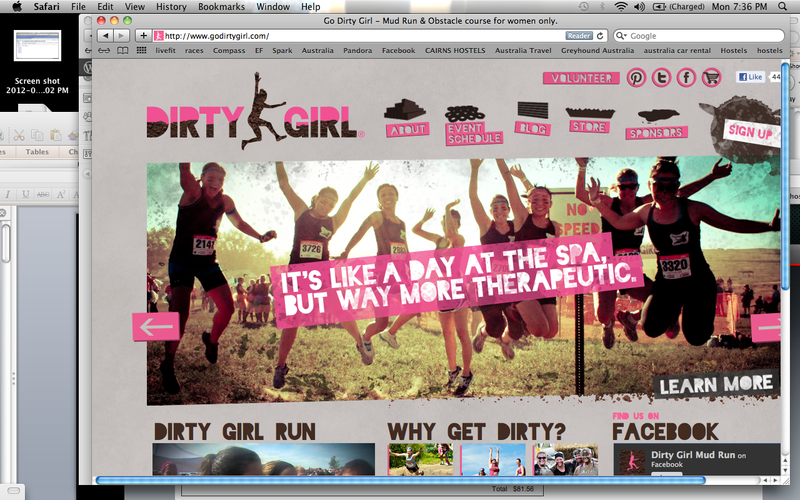 If you know of any fun races in the Chicagoland area, let me know!! I guess since I’m feeling well enough to write this post, I’ll study now.